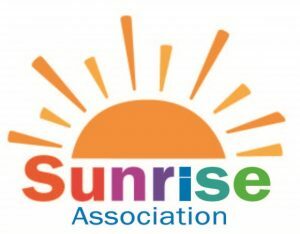 Providing memorable summers since 2006 for children ages 3 ½ –16, Sunrise Association Day Camps bring the simple pleasures of childhood back to children struggling with cancer, changing months of loneliness and isolation into summers filled with sunshine, laughter and happiness. And because they are day camps, it allows children to continue their medical treatment and enjoy the comfort and safety of their own homes at night. There are currently seven Sunrise Association Day Camps — three in New York (Long Island, Pearl River and Staten Island), three in Israel (Beit Yehoshuah, Be’er Sheva and Ramat Yochanan) and Horizon Day Camp in Baltimore, Maryland. Sunrise Association Day Camps are affiliated with 30 renowned hospitals and medical centers around the world. The fun continues year-round with Sunrise Sundays and Fun-days, offering children exciting activities and events when school is not in session. For those children undergoing treatment in pediatric oncology units of participating hospitals, Sunrise on Wheels is a one-of-a-kind program that provides hours of Sunrise-fun. A home-away-from-home for families of seriously ill children. 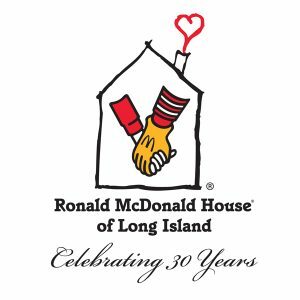 The Ronald McDonald House of Long Island is the 100th House of over 350 Ronald McDonald House programs worldwide. Located in New Hyde Park on the campus of the Steven and Alexandra Cohen Children’s Medical Center of New York, the House accommodates families in a warm and supportive environment. Through a series of programs and services, families staying at RMH-LI are able to focus on their child’s recovery. Home-cooked meals prepared by volunteers, transportation to and from medical appointments, a comfortable place to stay just steps from their child’s bedside and support from other families going through a similar experience allow parents to recharge for the challenges of the next day. This is only possible because of the generosity of the community. 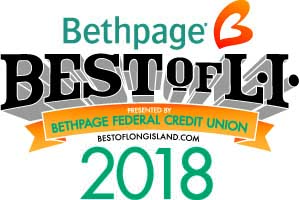 For 30 years, RMH-LI has been a home-away-from-home for over 25,000 families in the United States and more than 80 countries around the world who are dealing with the pain of having a child undergoing medical treatment at nearby hospitals. For more information about RMH-LI, log on to www.rmhlongisland.org, www.facebook.com/rmhli, www.instagram.com/rmhli, and www.twitter.com/rmh_li. Winthrop-University Hospital together with its affiliated practitioners have collaborated to create the Cancer Center for Kids. The Cancer Center for Kids’ services are provided by both the Hospital and Pediatric Hematologists and Oncologists affiliated with Winthrop Pediatric Associates, P.C. (“WPA”) who utilize both the state-of-the-science facilities of the Hospital and WPA’s new outpatient practice.